Liftgate Delievery Option: This allows the furniture to be lowered to the ground when delivered. Please keep in mind that without this option you will be responsible for lowering the item out of the delivery truck. Built from 1â€ and 2â€ thick rough sawn pine. These bedroom pieces accomplish a warm rustic feel. 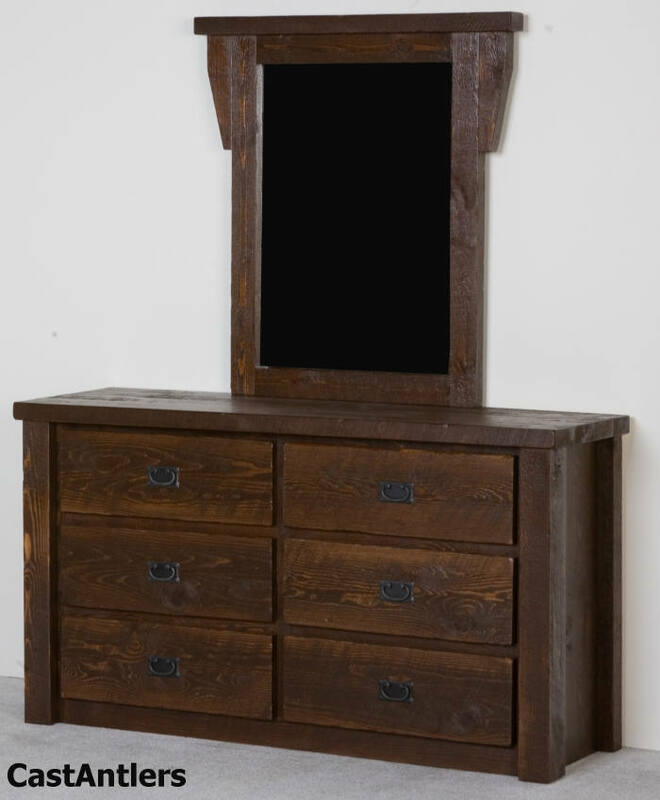 Every piece of rough sawn pine used to build this furniture has some of the original saw blade marks in it, giving it tons of unique character. Rough to the appearance, yet smooth to the touch. They are available in honey pine finish or the dark barnwood finish. Mirror sold separately.